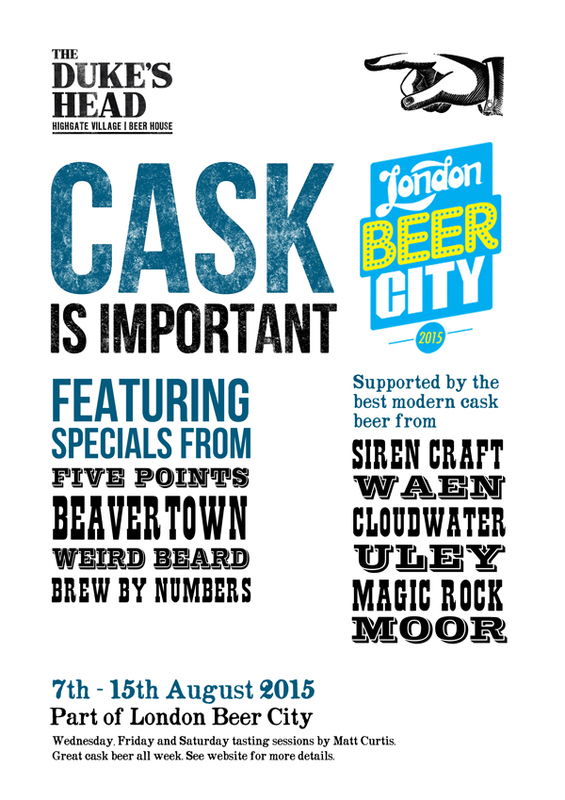 CASK IS IMPORTANT as part of London Beer City, 7th - 15th August 2015. Friday tasting session by Matt Curtis. 8 thirds and a bit of a party! Launch of collaboration brew with Hammerton Brewery. Specials from Brew By Numbers, Beavertown Brewery and The Five Points Brewing Co. Supported by the best modern cask beer from Siren Craft Brew, Magic Rock, Cloudwater, Moor, Waen and Uley. Tickets £10 via Ticketsource or over the bar.